Sift. ie provides a free service to its users who receive just ONE “sifted” email that summarises only the deals a subscriber is interested in. They maintain a database of all Daily Deals offered in Ireland and the UK. The fact that the market grew strongly over the traditional holiday months of July and August, indicates that the Daily Deal phenomenon shows no sign of slowing down. “Maybe people are browsing Daily Deal sites on their “Staycations” rather than living it up on the beach in Spain,” comments Hayes. 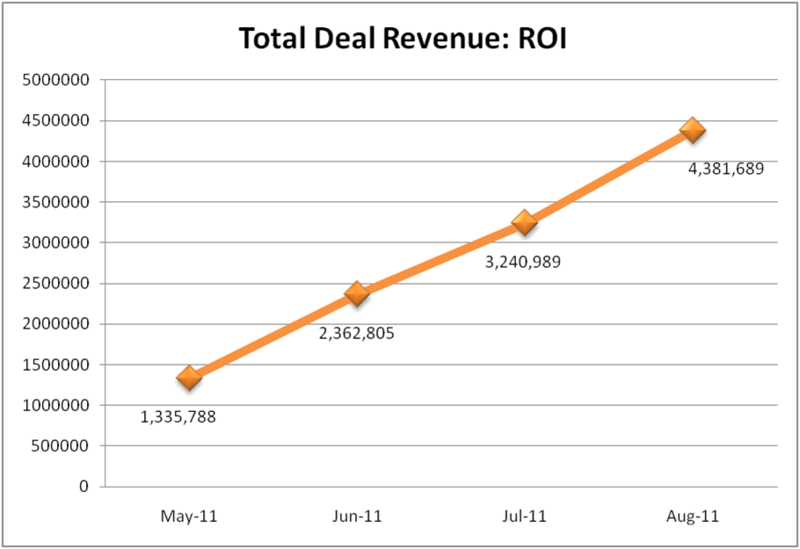 The best performance in the month came from Groupon, formerly known as Citydeal. Their gross revenues increased to €2.3 million and they increased their market share to 52%. Rumours abound that one of the reason’s Groupon pulled their IPO was due to trading difficulties. “We are certainly not seeing any trading difficulties for Groupon in Ireland where they increased their sales by over 50% month to month,” says Hayes.” “Similarly, in the UK, the Siftie.co.uk July data showed them trouncing the opposition with a 77% market share,” continues Hayes. Local providers Grabone and Pigsback also performed strongly. GrabOne launched in Belfast in August also. With regard to what people are spending their money on, Health and Beauty was the top category accounting for €1.5 million in August and 34% of total spend. An interesting development was that Travel and Accommodation dropped from €650K in July to just shy of €500K in August. “Maybe people were Staycationed out?” says Hayes. “Having said that, hotels continued as the most popular individual sub category with 11% of the market. The data presented here is based on Siftie’s analysis of Daily Deals offered in the marketplace and reflects Siftie’s best estimates. shane.hayes@clickinquiry.net or on 086 232 2360..